Edit: April 2019 – the crossing has been under threat of permanent closure but that threat has receded pending review. 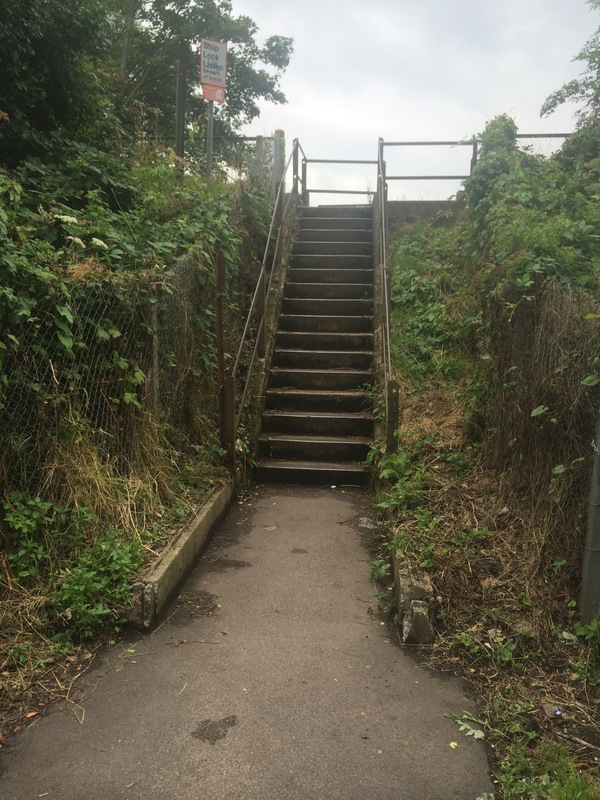 I’ve got a more recent post which has a link to a petition (see latest update), a form to sign up to hear more and links to other local blog posts from The Charlton Champion and From The Murky Depths. 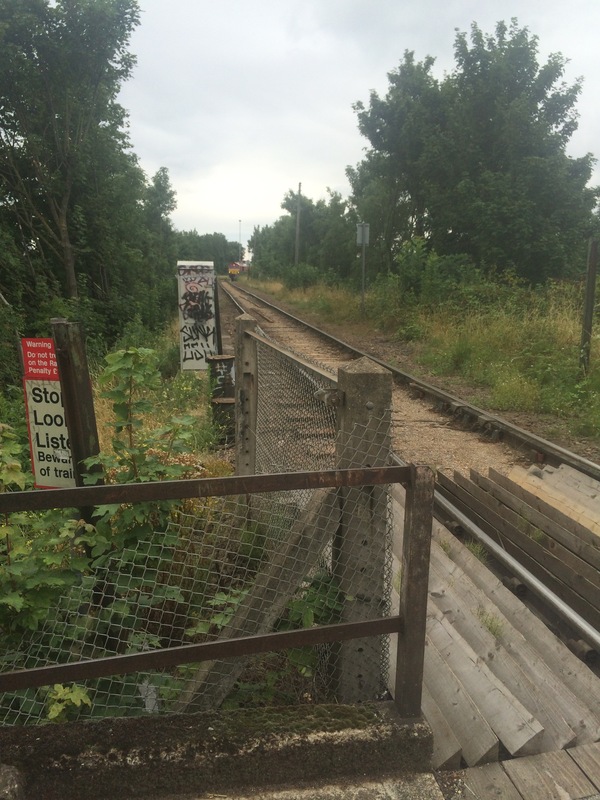 Yesterday I discovered that there is a second level crossing within walking distance from my home. 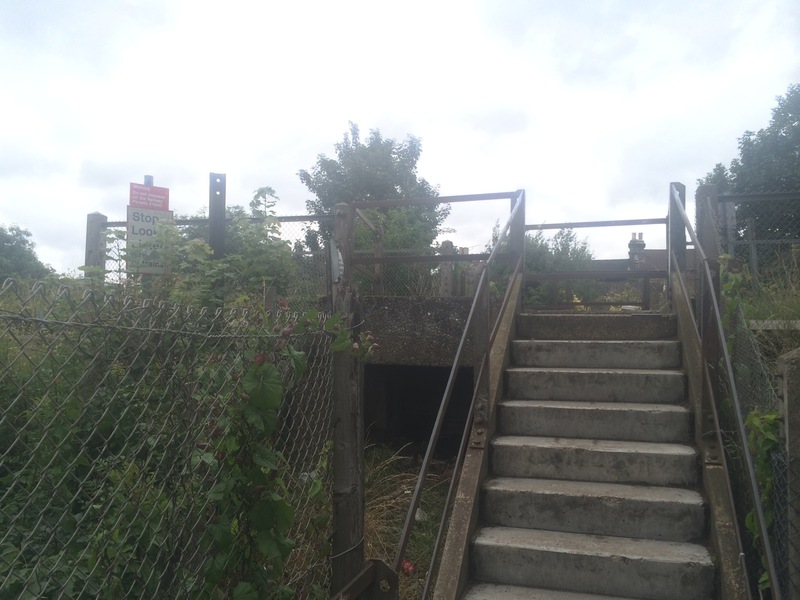 To be honest I’d been dining out on the news of the Charlton Lane crossing for a few years (very pretty brick pattern on the tunnel, level crossings a reasonably rare thing in London) after I discovered it while ambling around Maryon Park. But now I have two of them! 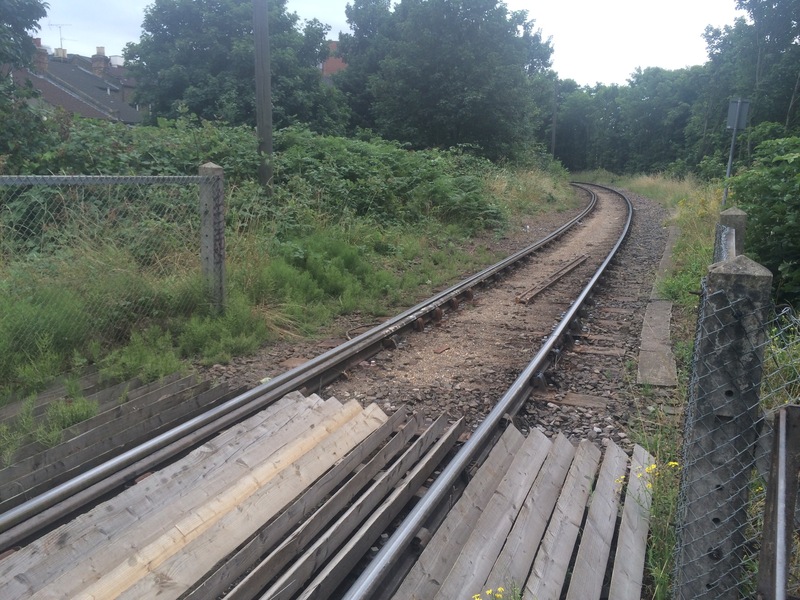 This one is much smaller and is only used by pedestrians, and the track itself is only used by freight trains carrying ‘stuff’ from around the UK to Angerstein Wharf. Yesterday’s discovery was an online one, after I was looking up John Julius Angerstein who created the gardens at Mycenae House. 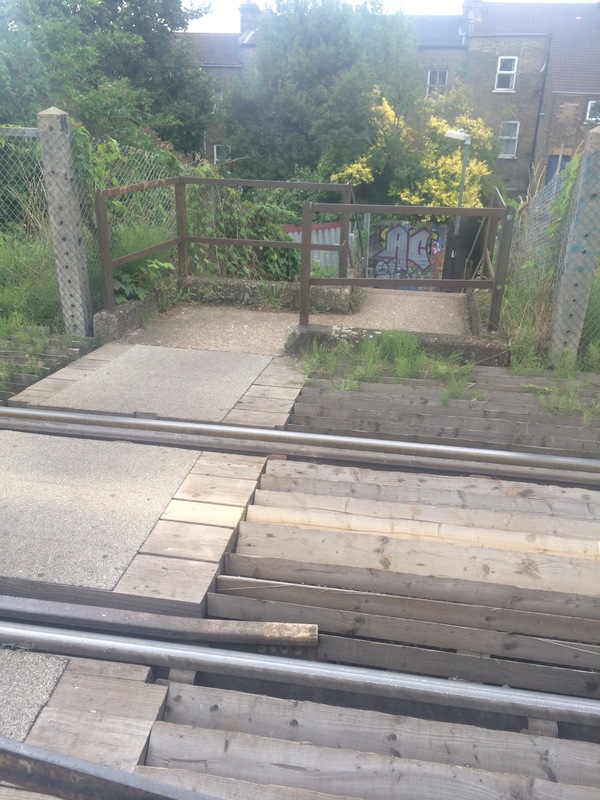 I recognised his name from wandering around Angerstein Wharf (well as near as I can get to it without being chased by wild dogs) and the internet told me about this crossing, just by Westcombe Park station. 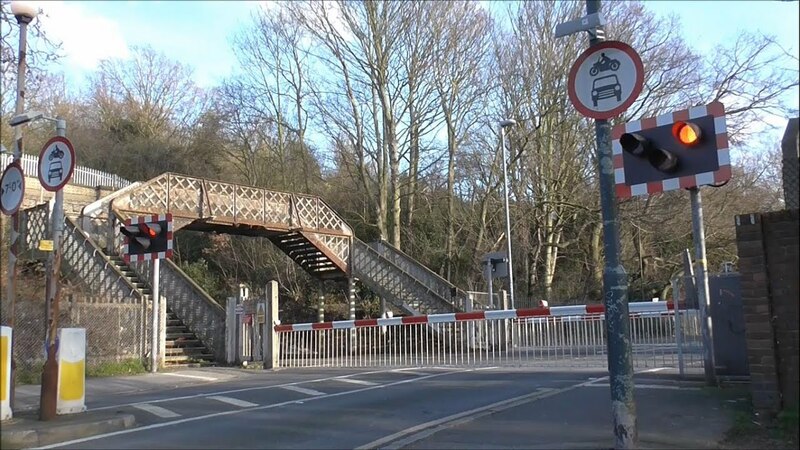 Angerstein’s grandson developed the railway and the crossing was included for workers to get across the line. I had the day off today and went to visit it. Predictably I arrived just too late to see a long freight train disappearing into the wharf, which was a shame but I enjoyed meeting the crossing nonetheless. The line is very infrequently used as far as I’m aware (trains run several times a week rather than a day), though not by people – I met several while lurking there photographing it (pics below). Map of Angerstein Crossing from Google maps. When I lived in Camberwell I was close to Denmark Hill rail station and I loved being woken in the middle of the night by the rumbling of freight trains passing through, reminding me that I was safe and warm in bed while life was going on around me. It made the house vibrate. Pleasingly it’s the exact same trains that pass through Denmark Hill that also arrive in Angerstein Wharf. They come from (or go to) Bardon Hill quarry in Leicestershire and they do this in a remarkably circuitous route which you can see examples of here (Bardon to Angerstein) and here (Angerstein to Bardon). 2. Westcombe Park side looking left towards Angerstein Wharf where you can see the train I just missed. 6. 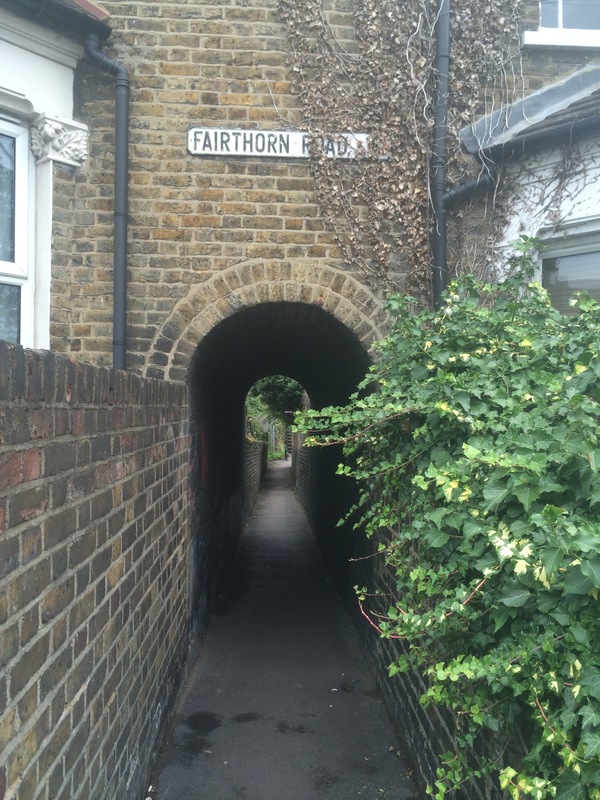 The rather lovely entrance to the crossing from Fairthorn Road, directly opposite Gurdon Road.